Thank you so much cedar valley for your participation in nominating so many wonderful organizations. Dr. Aldrich and his wife Elana have chosen winners for this year's Gift of Giving. Winner"s" because we could not choose just one group. We felt so much emotion and care from peoples messages and we were both truly moved to tears by the stories and submissions. Do you have jaw pain or soreness? Grinding your teeth puts pressure on the muscles, tissues, and other structures around your jaw. The symptoms can cause temporomandibular joint problems (TMJ). Because grinding often occurs during sleep, most people are unaware that they grind their teeth. However, a dull, constant headache or sore jaw when you wake up is a telltale symptom of bruxism (teeth grinding). 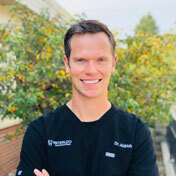 Dr. Aldrich can examine your mouth for telltale signs of bruxism, such as sore jaw and excessive wear on your teeth. In some cases, bruxism can also contribute to gum recession. This patient was thrilled with her new smile from Dr. Aldrich. 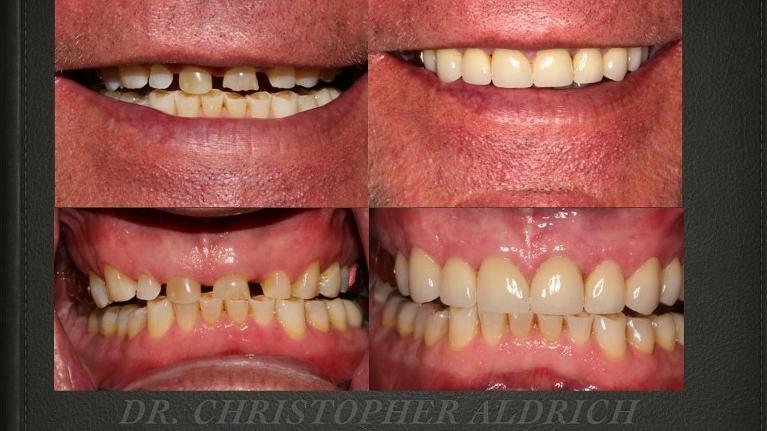 This patient of Dr. Aldrich's was unhappy with the alignment and shade of his teeth. 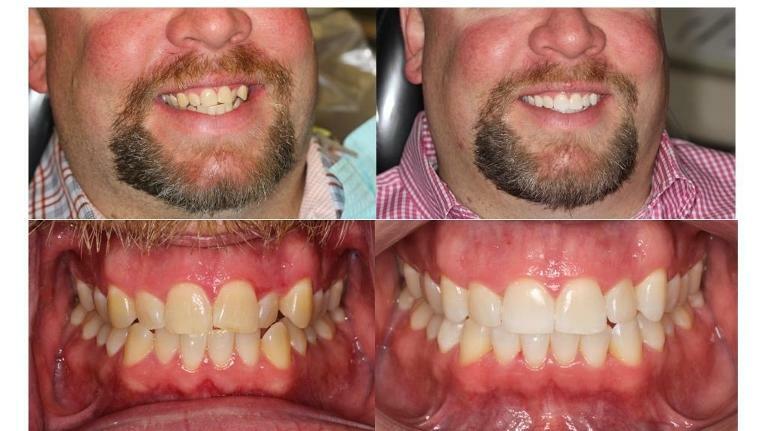 With the use of clear aligners, Dr. Aldrich was able to position the patient's teeth into a more esthetic position. 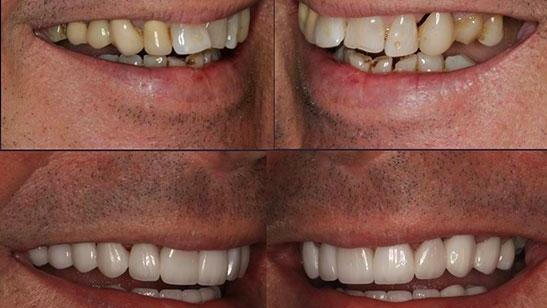 The patient followed his Invisalign treatment with bleaching to whiten his teeth, as well as bonding to improve the shape of some of his teeth. The results speak for themselves! Do you feel like your teeth are more worn or shorter than they used to be? Do you feel like the gaps in between your teeth have increased in size? Do you feel like your teeth are more sensitive? Does your jaw feel tired in the morning when you wake up? Dr. Aldrich recently traveled to Houston, TX to attend the Clinical Mastery Series course Ultimate Occlusion Level 2: Mastering Complex Cases. This course focused on the necessary diagnostic, treatment planning and treatment steps to complete successful Full Mouth Rehabilitations. 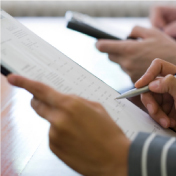 What are Full Mouth Rehabilitations? 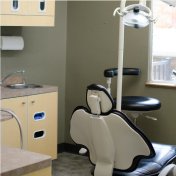 They are treatments that correct jaw alignment issues and missing, broken, or worn teeth. 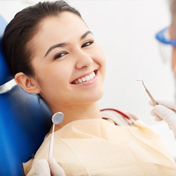 They will make your smile aesthetically beautiful and also healthy and functional. 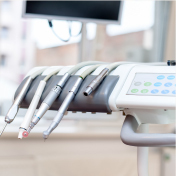 If you are unhappy with the aesthetics of your smile or if you feel you may be a candidate for a Full Mouth Rehabilitation, call our office today. We would be more than happy to help you make your "before", an "after! 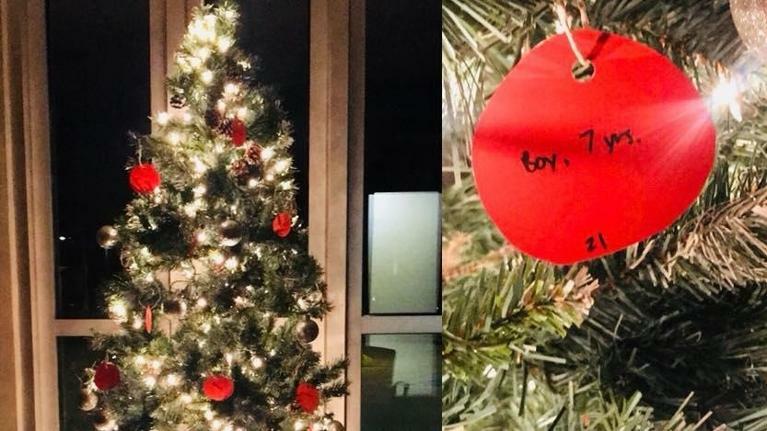 Waterloo Dental Associates is excited to partner with the Boys and Girls Club to sponsor this giving tree. Wrapped gifts are due back by Tuesday, December 19th. Please attach the original tag indicating the gender/age. Thank you so much for your generosity and giving spirit this holiday season.